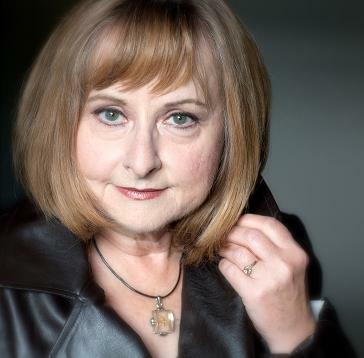 Linda S. Godfrey is the award-winning author of over a dozen non-fiction books on strange creatures, people and places and recently released her debut paranormal/urban fantasy, God Johnson: the Unforgiven Diary of the Disciple of a Lesser God as a self-published e-book, the first in a series. Godfrey is also an artist and illustrator and a former newspaper reporter. She has been a featured guest on dozens of national TV and radio shows including Monsterquest, Sean Hannity’s America, Lost Tapes, Inside Edition, SyFy’s Haunted Highway, Monsters and Mysteries, Wisconsin and Michigan Public Radio, CoasttoCoastAM radio and many more. She lives with her husband and Lhasa apso, Grendel, on the edge of Southeast Wisconsin’s Kettle Moraine State Forest, and her latest nonfiction book, “American Monsters; A History of Monster Lore, Legends, and Sightings in America” will be released in August by Tarcher/Penguin. Stephanie: Hello, Linda! Congrats on winning the B.R.A.G. Medallion. Please tell me about your book, God Johnson: The Unforgiven Diary of the Disciple of a Lesser God. Linda: Thanks so much for the honor, and I’d be happy to discuss God Johnson! Premise: A geeky, lesser known deity named God Johnson takes on the form of Abraham Lincoln to persuade just one unsuspecting person to trust him enough to become his disciple. He finally lures Liberty Abbott, an aspiring actress, by permanently changing her mousy brown hair to a dramatic auburn, keeping her car’s gas tank eternally filled, and promising to help her become a superstar actress. What he cannot tell her is that he has a secret commandment, which Liberty of course soon breaks while unknowingly involving her brother and best friend, as well. She’s then subjected to an arena-style battle against monsters and magical pitfalls. Liberty must try to save her brother and friend as well as herself from death or eternal slavery in the alternate universe that the huge and crazy pantheon of lesser gods call the Whetherworld. The book is set in the downtown and university areas of Madison, Wisconsin. Stephanie: What a unique premise. Tell me what inspired you to write this story. Linda: I was meditating one day about three years ago when the name, God Johnson, popped into my head, along with the thought that this should be a book title. I started imagining what a lesser deity with such a name might be like, and assumed that like any has-been demi-god, he would be looking for some sort of disciple. That, of course, led to the creation of my narrator, Liberty, who is lured in by his promises and has to confront many things about herself as she discovers the true nature of God Johnson. I immediately sat down and wrote the first page of her diary, and the book grew from there. I’ve always been fascinated with the variety of gods and goddesses found in ancient cultures around the world, and this book details my own fantasy of where they came from and what they are. Bizarre doesn’t begin to describe them, and they have pet sphinxes! Incidentally, I found out much later that there was an old time radio drama episode starring Peter Lorre that was titled God Johnson, and also a Minneapolis cover band that goes by that name. The band and I became Facebook friends. Stephanie: Tell me about your character Liberty. What are her strengths and weaknesses? Linda: Liberty is a smart young woman who grew up as a small-town daddy’s girl and then continued to seek attention with a career in theater and eventually, she hopes, as a movie star. Part of her strength lies in her genuine love for and loyalty to her family and close friends, although her sense of loyalty is what keeps her attached to God Johnson just a tad longer than will be good for her. She’s very ambitious, almost painfully self-aware of her minor foibles, and has a knack for sizing up a situation and using what’s at hand to her advantage. On the flip side, Liberty can be a little flip. She has a tendency to speak and act impulsively, and that usually doesn’t go well for her. Her worst problem, though, is her tendency to make decisions for others “for their own good,” and that NEVER turns out great for her or for her loved ones. She’s also blind to the powerful need she has to be admired and adored by the men in her life as she was by her doting father. This just leads to all the wrong romantic choices. Linda: This is my first published work of fiction, co-self-published with the literary agency Dystel & Goderich (I’m represented by agent Jim McCarthy) as an e-book. I have 14 traditionally published works of non-fiction, however, between 2003 and the present, on strange and eccentric creatures, people and places. Some of my publishers include Tarcher/Penguin, Stackpole Books, and Barnes & Noble (The Weird USA series), with titles such as Weird Michigan, Monsters of Wisconsin and Real Wolfmen; True Encounters in Modern America. Linda: I’m a good way into the sequel for God Johnson, and still working with editors on the final stages of American Monsters: A History of Legends, Lore and Sightings in America which is due out in August from Tarcher. I’m also busy preparing a book proposal for my next NF work. Stephanie: When writing, what is your process like? Linda: That depends upon how close I am to the deadline! But in general, I need to have some idea of where I’m headed, with at least a rough outline before I start. For non-fiction, it’s usually a fairly detailed outline with chapters and topic subheads. I do a lot of research and like to have all needed books and files out and close at hand, which means I end up with a fort made of book stacks and file crates piled around my desk. I also do plenty of research for fiction (I have three unpublished fantasy novels that each required plenty of digging) but for fiction there are more files and online pages than books. Most of my nitty gritty habits come from writing for a newspaper for ten years. There, I was always on deadline and had to learn how to churn out decently written things quickly. I discovered I could write a lot more if I took a ten minute break every hour or so and I still do that. Of course, writing at home with more distant deadlines greatly increases the temptation to stretch those ten minute breaks out waaay longer, but I do still get the work done. It’s a good test of self-discipline. Stephanie: How often do you write and where in your home do you like writing best? Linda: I usually give myself a regular five-day work week and try to spend the majority of my time at the computer during those days. I will also write on evenings and weekends when I can and/or need to but I like to be available for my family and other things then. I feel if I don’t leave space to inhabit my actual life, my characters are going to start acting like empty suits, too. Almost all my writing happens in my office, formerly known as my son Ben’s bedroom. I’m surrounded here by my books, monster figures and paraphernalia, with windows that look out on our yard and adjacent woods. The room’s most important feature, however, is the door that closes out everything else when I need to be in the zone. Stephanie: Is there ever any challenges you face when writing? Linda: Are there ever NOT any challenges when writing? Let me say this; if it were easy, I wouldn’t enjoy it. The biggest challenge is probably just keeping at it. I’ve already mentioned the temptation to play hooky on myself. There are so many things to take me away from my work; social media, my needy Lhasa apso, the woods outside my window, kibitzing with friends, snacks, crossword puzzles, and even my own reading list. All these things are wonderful and important, but not allowed to keep me from working. I’m also expert at convincing myself that almost any book I wish to read is germane to something I’m writing at the time. Although that may often be true, I need to keep an eye on balance. Another constant in my writing life is fighting the urge to rewrite and polish too much before I have at least a first draft. It’s so much easier to cut the unnecessary ballast loose if I haven’t grown to love the contents of that ballast. That’s equally true in fiction and non-fiction. I came across indieBRAG while looking online for support for independent publishers, and was amazed to find such a great service. 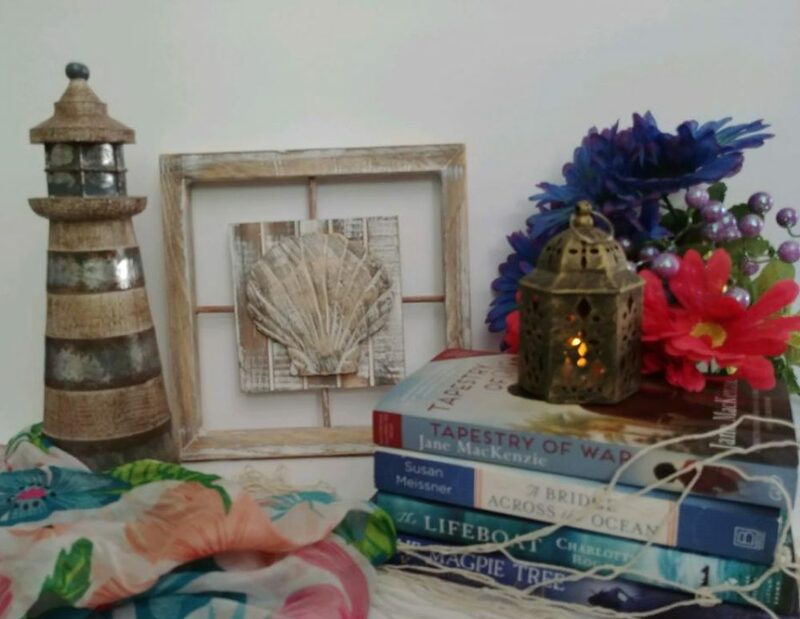 The hardest thing, in my view, for indie writers is getting the word out on our books, and indieBRAG is part of what I see as a new wave of sites and apps that help connect readers with quality indie books. Linda: One of my major motivations is the thought that I can always be better. I consciously try to improve my craft with every book, and it’s always gratifying when readers and editors notice. The idea of merely gliding along, repeating the same mistakes and becoming Queen Hack-a-lot is my worst nightmare. I’m curious to see how good I can finally become, and that keeps the writing process fresh and enjoyable in my own mind. Whether I rise to the level of any of the great icons of literature is irrelevant (and probably unlikely). But as long as I keep raising the bar on my personal best, I’m happy. I would encourage every writer to try to grow with every new project. 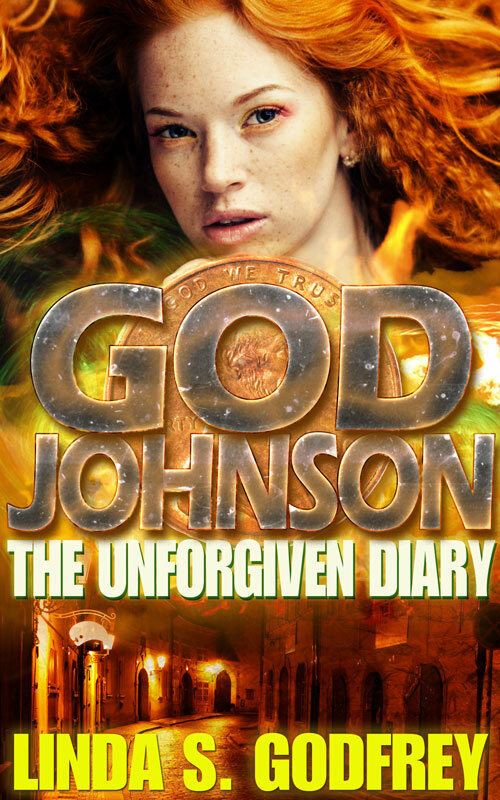 Linda: God Johnson; the Unforgiven Diary is available through Kindle Books on Amazon and most other e-book venues. There’s a clickable list of those vendors on my God Johnson page at http://www.lindagodfrey.com/god-johnson, or just go to your favorite vendor and search. We are delighted that Stephanie has chosen to interview Linda Godfrey, who is the author of, God Johnson; the Unforgiven Diary of the Disciple of a Lesser God, one of our medallion honorees at indieBRAG . To be awarded a B.R.A.G. Medallion TM, a book must receive unanimous approval by a group of our readers. It is a daunting hurdle and it serves to reaffirm that a book such as, God Johnson; the Unforgiven Diary of a Lesser God, merits the investment of a reader’s time and money. 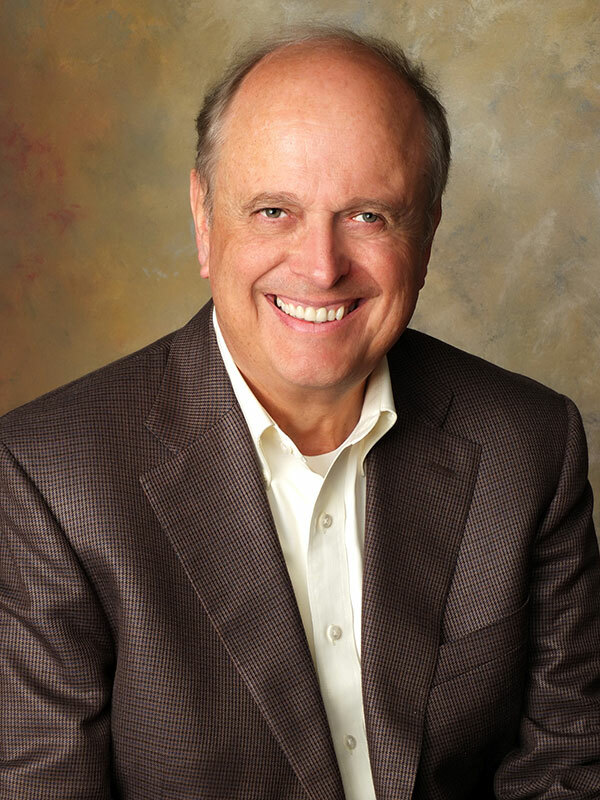 Stephanie: I am honored to welcome, Paul Collis to my blog today. Hello, Paul! I am delighted to be chatting with you today and congrats on winning the B.R.A.G Medallion! Please tell me about your book, The Scottish Movie. Paul: Before I start, I’d like to thank you and all the people involved with B.R.A.G. for their time and effort spent promoting independent authors. Acknowledgement encourages us, and I’m sure it helps readers choose their next book. OK. 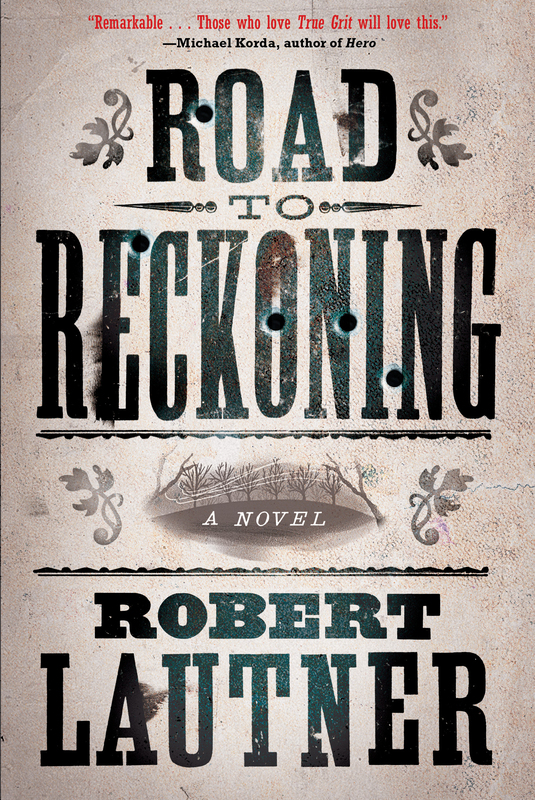 The blurb on the novel’s back cover is more tease than description, so I thought your readers might prefer a synopsis. I’ll try to avoid spoilers. Part One. London, 1606. Shakespeare is desperate for a new play to please the paranoid King James, and he’s short of ideas. By chance he comes across an ideal plot, written by Henry Greville, an unknown youngster, and steals it. A few months later, Henry hears that a play very much like his, now called ‘Macbeth’, is about to be performed at the Globe Theater. Distraught, and with no legal way to challenge the theater or its famous playwright, he decides to take matters into his own hands and sabotage the royal premiere. Part Two opens in a diner in present day Los Angeles. Harry Greenville, a struggling actor and writer, has just posted his manuscript to a website that promises the attention of Hollywood agents and producers. We join him as he receives feedback about his novel ‘The Scottish Play’ from some of his pals. Part Three. Harry discovers that his novel is about to be turned into a major Hollywood movie. The irony! The title, the names of his characters and their dialogue have all been changed, but he knows it’s basically his script. When he’s told that only an exact sequence of words can be copyrighted, and not an idea, he realizes that he’s no better protected than his hero was 400 years ago. He decides to take a leaf out of his own book and sabotage the movie. Which is not so easy when it’s only him and a few of his reluctant pals against an unknown thief and the might of Galactic Studios. The rest of this section is a mix of a whodunnit and a howhegonnadoit, in which Harry and his girlfriend, Liz, find themselves taking ever greater risks for a higher reward. Part Four is the David v Goliath section, wherein a Shakespearean battle of wits is fought across the exotic hardwood of Galactic’s boardroom table. It ends in a way even Harry doesn’t anticipate. Stephanie: How does the title of your book tie into the story? Paul: Harry’s manuscript revolves around the reason for ‘Macbeth’s’ unofficial name, so he names his manuscript after it. Given the leap of time and place to the parallel story set in present day Hollywood, ‘The Scottish Movie’ seemed to be a perfect fit. I figured Shakespeare buffs might be intrigued. 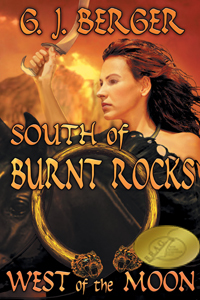 Stephanie: I noticed the genre your story falls under is Historical Fiction. But wouldn’t this story be more of an Alternate History? Also, please tell me some of the historical aspects of your story and the fictional. Paul: You’re right. The first part is Alternate History, written in the style of Historical Fiction. The rest is Contemporary, and written to suit. It’s difficult to pigeonhole, so suggestions are welcome. If I could compare it with another book (but only for its mix of styles, past and present; I’m not claiming anything close to its literary merits) I’d point to Ackroyd’s ‘Hawksmoor’. For structure I was influenced by Pinter’s movie adaptation of ‘The French Lieutenant’s Woman’, but I couldn’t find a way to match the then/now/then/now format. Stephanie: What was some of the research involved for writing your story? Paul: Researching Shakespeare’s life and times was really interesting. I read various biographies of him, and accounts of his fellow writers and political contemporaries. Social histories informed me of the daily lives of everyone from peasants to courtiers. A detailed account of the Gunpowder Plot gave me an idea of the paranoia prevalent at the time. A book about the Great Fire, although it occurred 60 years later than my story, provided an insight into London’s buildings and infrastructure. As for researching the ins and outs of a Hollywood studio, I’ve been lucky enough to have worked on quite a few backlots and sound stages during my career as an advertising art director and copywriter, in London and in Los Angeles. And I can personally vouch for the meals that come out of those location trucks; they’re astounding. Stephanie: Did you discover anything new that you didn’t know before about Shakespeare? Paul: One of the best books I consulted was little more than a brochure; a guide to a walk in Shakespeare’s footsteps. I set out from the site of the original Globe Theater, over London Bridge and on to the site of his house on Mugle Street. The whole area has changed beyond recognition, of course. What wasn’t burned in 1666 was bombed in the Blitz and covered by office blocks in the 60s and 70s. I was brought up just a short train ride from London’s South Bank, and worked for a while near Fleet Street, so I was familiar with the area, but tracing Shakespeare’s daily commute took me to streets and lanes I’d been unaware of. 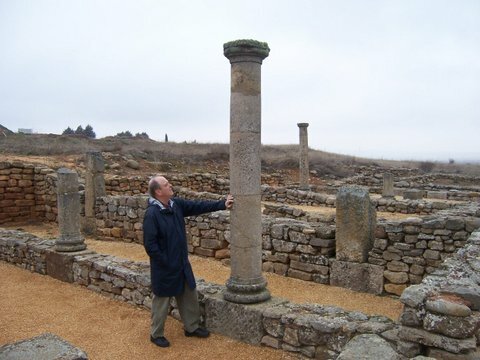 I saw traces of cobbled roadways, ancient churches, and the even older Roman city wall. It gave me a more tangible idea of his journey between home and workplace. Stephanie: What was the inspiration for your book? That experience gave rise to the idea of writing some sort of ‘getting even’ scenario. A few years later I was in London, visiting the Globe Theater. It struck me that this was the Universal Studios of its day. But when they first came out with ‘Macbeth’, why was it a flop? What if Shakespeare had stolen the idea, and the original author got mad? What would the guy do? And I took it from there. Stephanie: What are Harry Greenville’s strengths and what are his weaknesses? Paul: He starts out as a generally happy guy, even though he’s in his mid-twenties and still struggling to establish himself. He knows he’s not a great actor, and he believes he knows why. He’s confident about his writing skills, but lack of recognition doesn’t depress him. So he’s self-aware, and able to laugh at the small obstacles life throws his way. But the theft of his script makes him angry and obsessive––which I think is understandable. We’ve all had something stolen from us at one time in our lives, and anger is a natural reaction. But because its his ‘best idea ever’ that’s been taken, he becomes obsessive. And loses some perspective because of it. His initial plans for revenge leave are pretty basic; when Liz points out that his scheme involves more risks than rewards, Harry is humble enough to agree with her. But when she suggests that he raise the stakes for a potentially much greater benefit, his resolve waivers––until he realizes that her challenge to sink or swim means that he might lose her respect if he sinks. So he swims. And by the end of the book he’s a better man for it. Paul: Don’t ask. Oh, alright. Several years. Stephanie: Did you use an outline or did you just write? Paul: I was skipping through an online forum somewhere (probably Goodreads) that discussed various ways to help readers find a worthwhile Indie among the legions of unedited vampiricals, first draft fantasies and hapless self-helps. One of the posts mentioned indieBRAG and I immediately looked it up and made contact. Lucky me. A Brit, but I use American spellcheck. Art school in the ’70s. A career in advertising as an art director and writer for some well-regarded agencies in London, New York and San Francisco. I’ve been lucky enough to produce ads and TV commercials that won numerous awards, including some Lions at Cannes. Some fishing here, some photography there. Have a screenplay about a thirty-something loser who inherits a decrepit house bordering a jinxed lake. It was a finalist in the Acclaim TV Awards – arguably one of the most obscure competitions in the US. I’m currently working on a short piece set in the Himalayan foothills of 1934. 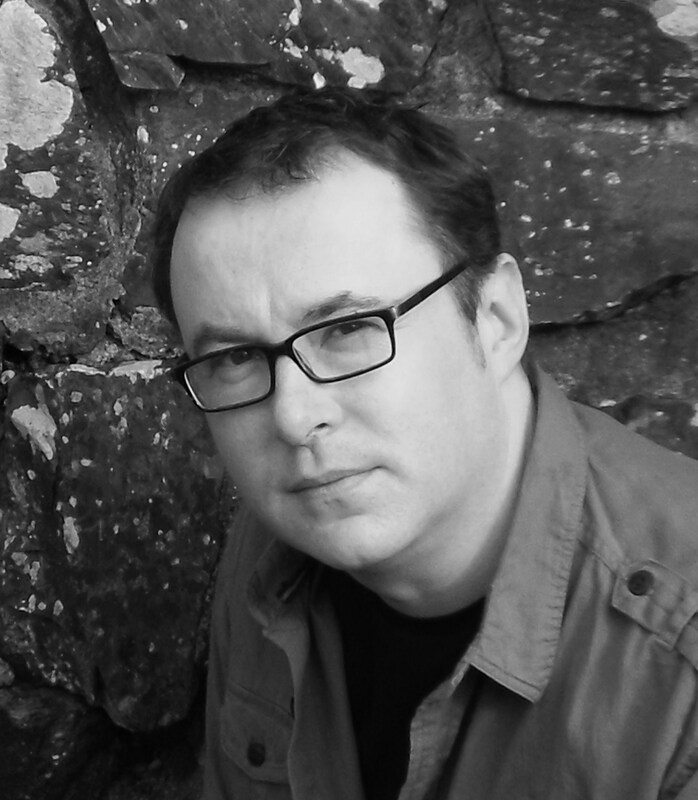 We are delighted that Stephanie has chosen to interview Paul Collis, who is the author of, The Scottish Movie, one of our medallion honorees at www.bragmedallion.com . To be awarded a B.R.A.G. Medallion TM, a book must receive unanimous approval by a group of our readers. 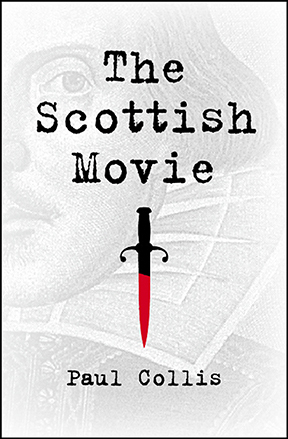 It is a daunting hurdle and it serves to reaffirm that a book such as, The Scottish Movie, merits the investment of a reader’s time and money. 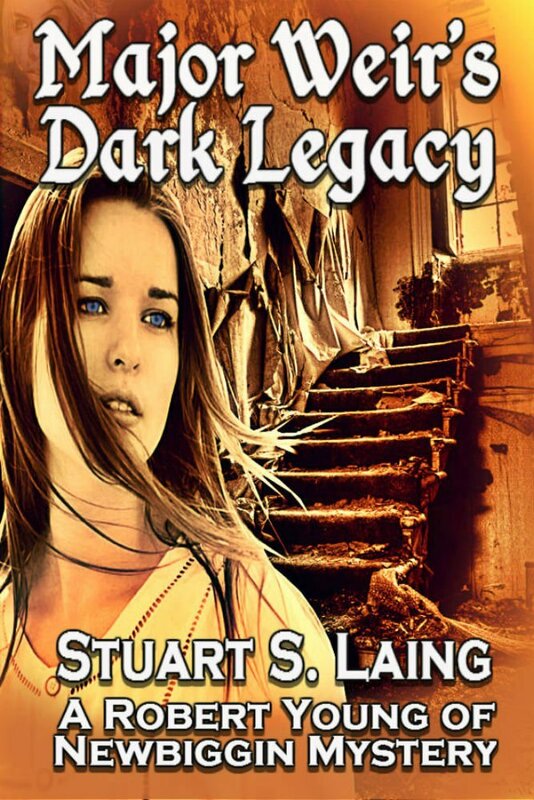 Happy Book Launch Day to my friend and talented author, Stuart Laing! His books are available on Amazon (US & UK)! An ancient and malignant evil seeps through the decaying walls of a deserted building in the heart of old Edinburgh. This is Major Weir’s dark legacy to the town he called home. When one bookseller is murdered and another accused of the crime Robert Young of Newbiggin is called upon to help and has to use all his talents as an investigator to try and save an old friend from the noose. Unfortunately when all the evidence points towards his guilt is it already too late? Born in 1966 and raised on the east coast of Scotland in the ancient Pictish Kingdom of Fife. Stuart has been married to the love of his life for 20 years and they have blessed with a daughter. Completing the household is a cat which is also female leaving him heavily outnumbered. 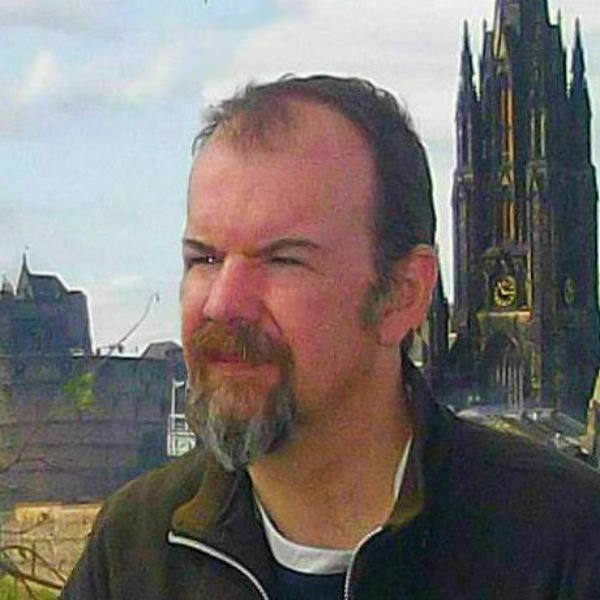 He has always been fascinated by the history of Edinburgh and has spends most of his adult life studying Scottish history in all its aspects but always find himself being drawn back to the cobbled streets of the Old Town. Stephanie: Hello, Angie! Congrats on winning the B.R.A.G Medallion! Please tell me a little about your books, Momma’s Little Helpers and Monster Feet. Angie: Thank you very much. I am still reeling about the news! Momma’s Little Helpers received the Medallion first so why don’t we start with that one. Momma’s Little Helpers is a story about five young girls who embark upon an adventure to rally support for their sick Mother. They turn to Santa to help obtain help from many mystical characters such as the Sandman. It holds several messages for young children including the importance of teamwork and giving support to those in need. It truly is surprising how much support the young girls are able to rally. Monster Feet is about a young girl named Sue who experiences recurring nightmares. Each night she wakes up to find she has different feet—animal feet! Sue comes up with a prayer which she recites every night in an effort to deter her dreams. But each night the nightmares return. Sue eventually overcomes her fears and learns to embrace the new feet. It is a very fun book and children absolutely love it! Stephanie: Is this your first Children’s’ book and will there be others? 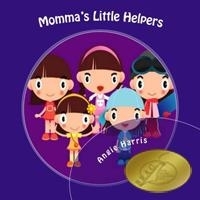 Angie: Momma’s Little Helpers was my first children’s book. Monster Feet was the second. And yes, there will be more to come! Stephanie: Where there any challenges you faced while writing your story? Angie: I write most of my children’s stories in verse so sometimes managing to relay a message within the confines of structured poem can be difficult. Finding words which express what I am trying to tell as well as rhyming together is not always easy. But it also has to be simple enough for a young reader to understand. Then there is making certain that the story maintains its tempo and does not fall off beat anywhere too much. I also find it difficult sometimes to be grammatically correct all the time when writing in verse considering that most times the verse consists of fragmented sentences. Angie: I designed the cover of Monster Feet and used Createspace’s Design software to help me design the cover for Momma’s Little Helpers. I used their template and inserted my own imagery. Stephanie: What is the moral to your story? Angie: Both books encourage selflessness, courage, teamwork, helping others, caring, and much, much more. Stephanie: Do you have illustrations in your story? If so, who created them? Angie: Both of these books are picture books. I cannot draw so I had to do my research and find many clipart images online which were in the public domain to help paint the picture which I envisioned in my head. Once I had the clipart that I wanted to use, I relied on my technical skills to manipulate the art in a manner that suited my needs. Sometimes, I left pieces of art untouched and blended it with the backgrounds and other characters that I was using, and other times I changed the art dramatically to get the outcome that I was looking for. It is most definitely a skill that I have sharpened since writing my children’s books. Stephane: What do you like most about story telling? Stephanie: I love being able to express myself creatively; but I enjoy making people smile and taking them on an adventure which screams fun! And if we have a few chuckles along the way… Great! Then, I have achieved all that I set out to do when I began writing. Angie: I am proud to tell you that Monster Feet was received so well that I was easily convinced to turn it into a series. Monster Feet: Sue’s Deep Sea Adventures will be released next week on Valentine’s Day! My seven year old niece, Kelsey More, contributed many fresh ideas and gave feedback for the new story. She is being named as a coauthor to the book and has now become engrossed in story telling too. I am also currently writing two novels, Before the Storm for my YA fantasy series Gates of the Realm and The Caverly Hotel which is based off of a Vermont Urban legend. I expect, Before the Storm to be released late this summer and The Caverly Hotel to be released on Halloween. Angie: I was researching marketing ideas online. I did a search for medallions and it did not take me long to find you. Stephanie: Where can reader buy your book? Angie: You can buy Momma’s Little Helpers and Monster Feet at the Createspace store and at Amazon. I have also enlisted them into the extended channels so they will be available at most online retailers soon as well as some book stores. We are delighted that Stephanie has chosen to interview Angie Harris, who is the author of, Momma’s Little Helpers and Monster Feet, one of our medallion honorees at www.bragmedallion.com . To be awarded a B.R.A.G. Medallion TM, a book must receive unanimous approval by a group of our readers. It is a daunting hurdle and it serves to reaffirm that a book such as, Momma’s Little Helpers and Monster Feet, merits the investment of a reader’s time and money. I was born in Burlington, Vermont and graduated from C.C.V. with an AS in Technology. I work days at a high school with titles from IT Tech to Media Lab Supervisor. I love family, music, and writing. Donna Walsh Inglehart began her professional life in Maine, where she founded a wilderness camp for teenagers. After earning an M.A. in English at Middlebury College, she taught writing for many years to students of all ages. 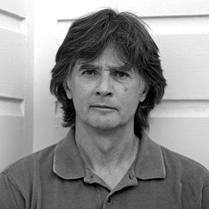 Donna wrote professionally in a variety of contexts before turning to fiction, and in 1992, Little, Brown published a novel she’d written for her young daughters, set in the Thousand Islands. Years later, Donna returned to that locale with Grindstone, a historical novel based on documented accounts of a Confederate spy ring operating in the region. Grindstone centers on the island world of a young Irish immigrant and a soldier returning from the war. Donna then teamed up with award-winning photographer, Ian Coristine, and together they wrote One in a Thousand, Ian’s memoir, released by McClellan Interactive Publishing as an iPad App eBook. Donna is currently working on a prequel to Grindstone, set in the Thousand Islands during the War of 1812 and the Rebellions of 1837. Stephanie: Hello, Donna! Thank you for chatting with me today and congrats on winning the B.R.A.G Medallion. That is wonderful! Please tell me about your book, Grindstone. Donna: Thank you, Stephanie. I’ve looked forward to our conversation. I am pleased to be honored with a Medallion and appreciative of the recognition indieBRAG is giving to us indie authors. Grindstone was inspired by documented accounts of a Confederate spy ring based in Toronto in the final year of the Civil War. Grindstone is one of the Thousand Islands in the St. Lawrence River, which marks the boundary between the States and Canada. During the war, the area was rife with espionage. Grindstone is told from the perspectives of a Confederate spy and an Irish woman living alone on the island. Totally isolated from their families and cultures, Jonathon and Anya are drawn to each other and become caught in a web of espionage. Stephanie: What period does it take place in and can you tell me a little about what you know of the Civil War during this time? 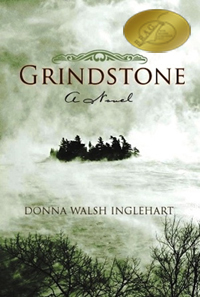 Donna: Grindstone begins in 1864, when almost every family in northern New England and New York had suffered losses in the war. The Confederates were losing, and in a desperate strategy, set out to overthrow the Union by firebombing the northern cities, creating havoc, then freeing imprisoned Confederate soldiers. At the same time, many thousands of Irish immigrants were traveling to the region under the direst circumstances. Anya’s brother joined the Union Army a few days after he crossed the border into the States, because he could find no other work. He was paid three hundred dollars to stand in for someone else. Stephanie: What is some of the research that went into this book and how long did it take you to write your story? Donna: It took several years to write Grindstone, because I was teaching full-time and the novel kept growing and changing. Initially I had focused solely on the Civil War, and kept discovering more information about the Confederate operations in Canada. Then, in the middle of the project, it happened that I traveled to Ireland a few times on unrelated business. I already knew a bit about the famines (an Gorta mor), but it wasn’t until I was in Ireland that the implications of those devastating years began to resonate. I also realized that the Irish were settling in the River villages and islands during the period about which I was writing, and I soon understood that an Irish woman would have a major voice telling the story of what was happening at that time, when such huge forces were shaping our culture and history. Stephanie: Tell me a little about the Island. Donna: As I mentioned earlier, the border for the States and Canada runs through the Thousand Islands, and with eighteen hundred islands in a fifty-mile stretch, the region was notorious for piracy, smuggling, and bootlegging. Downriver from Lake Ontario, it’s still a wild place, shaped by fierce winters and storms that drive downriver. (The island pines bend toward the east.) You can easily lose your way among the islands, especially at night. Grindstone is one of the largest islands; it is still farmed, and although winters on the River are hard, families still live on Grindstone year-round. Its cemeteries contain the gravestones of Union soldiers and generations of immigrants, who cleared its fields and mined the quarries. It seemed logical and natural to tell a larger story in the microcosm of Grindstone Island. Donna: When choosing to write about the impact on my characters from the Famines and the American Civil War, I felt strongly that I had to show respect for those tragic periods, that I must not trivialize nor exploit them. My initial decision was to make reference to the past without dramatizing particular episodes. It was a mistake: it wasn’t until the novel was all but ready for press that I realized that I had to add some flashbacks of battle scenes so that the readers could understand the veterans’ suffering in the aftermath of the war. Stephanie: What are Anya McGregor’s weakness and strengths? Donna: When the novel begins, winter is setting in, and Anya is struggling to survive on her own. She has already lost a great deal; the journey to America was terrible, and her parents are dead, her brother gone for a soldier. Further, as an Irish immigrant, she faces real discrimination. As a result, Anya is brittle, wary, and, initially, unable to recognize suffering beyond her own. Her strengths are her resilience, her ability to grow, to seek connection. Stephanie: Are you currently working on another Historical Fiction? If so, please tell me a little about it. Donna: I originally planned to write a sequel to Grindstone, especially when readers write to ask what happened to the characters! It’s tempting, because just ten years after the war, the Thousand Islands region was already becoming a center for tourism, with castles and hundred-room cottages being built on the islands. The Gilded Age brought with it so many cultural changes and contradictions, with the very rich landing in this rugged, wild place for the ephemeral months of summer. I realized, though, that I was more interested in the period before the Civil War, during the War of 1812 and the Rebellions, in those who settled the area and fought in the wars. Again, it’s using the microcosm of the islands to create a story from the competing forces that were shaping both countries. Stephanie: It would be wonderful for you to have a sequel! Your book sounds really good and I will be adding it to my reading list. What advice would you give to someone who wants to write Historical Fiction? Donna: Learn as much as you can about the period, obviously, so that you can imagine how your characters travel, what they read, listen to, believe. (I had no idea how dirty steam trains were until I returned from a ride with charcoal bits imbedded in my hair and clothing!) My husband, Dave, a Civil War historian, was a tremendous resource and source of encouragement. Still, you can make a mistake in the smallest detail, an anachronistic phrase, weapon, boat, destroying that fragile sense of reality novels strive to create. But if your story is worth telling, get on with it! Be clear, in your own mind, why this story must be told, by you, at this point in time. Do the best you can, trusting that the truth of the story itself, of what your characters care about and are fighting for, will carry you and your readers forward. And stack the deck in your favor! I avoid urban settings because I’ve lived for most of my life in the country, and in houses the same vintage of those my characters inhabit, so it’s easier to envision their lives. For example, the daily tasks of hauling wood, of building fires, are familiar, and so I include them in my stories. Stephanie: Solid advice. Where in your home do you like to write and do you have a certain time of day you write? Donna: There’s no question that I write best on the porch of our cabin on a wilderness lake in northern Maine! Because I set my fiction in rural 19th century, it’s easier to connect with that world. Mornings are usually best, but when I’m on a roll, I’ll work late into the night. Stephanie: Writing at a cabin sounds wonderful. Donna: When Geri contacted me to inform me that I’d been awarded a medallion! 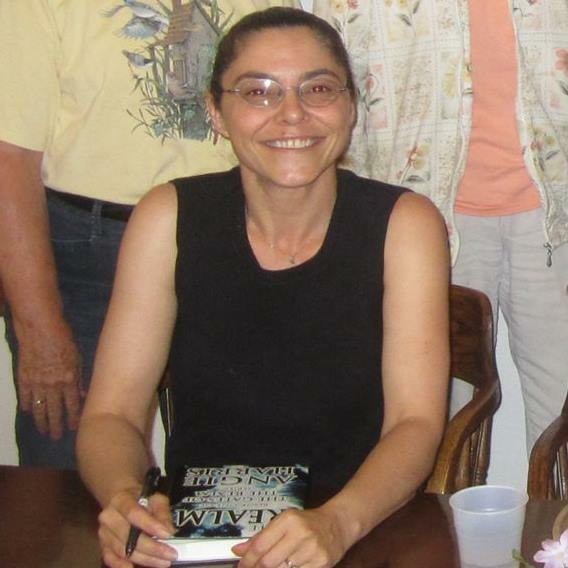 Donna: Readers can purchase Grindstone at fine independent bookstores and online, through www.troubadourinteractive.com and Amazon, where it is also sold in Kindle-format. 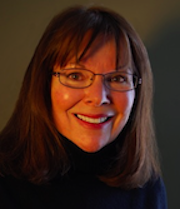 We are delighted that Stephanie has chosen to interview Donna Walsh, who is the author of, Grindstone, one of our medallion honorees at www.bragmedallion.com . To be awarded a B.R.A.G. Medallion TM, a book must receive unanimous approval by a group of our readers. It is a daunting hurdle and it serves to reaffirm that a book such as, Grindstone, merits the investment of a reader’s time and money.